A decade after the collapse of communism, this volume presents a historical reflection on the perplexing nature of the East German dictatorship. In contrast to most political rhetoric, it seeks to establish a middle ground between totalitarianism theory, stressing the repressive features of the SED-regime, and apologetics of the socialist experiment, emphasizing the normality of daily lives. The book transcends the polarization of public debate by stressing the tensions and contradictions within the East German system that combined both aspects by using dictatorial means to achieve its emancipatory aims. 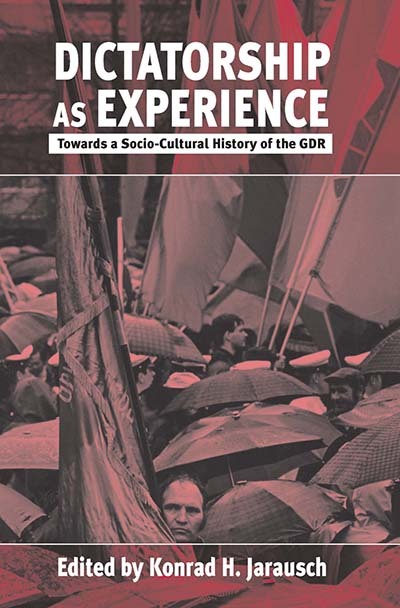 By analyzing a range of political, social, cultural, and chronological topics, the contributors sketch a differentiated picture of the GDR which emphasizes both its repressive and its welfare features. The sixteen original essays, especially written for this volume by historians from both east and west Germany, represent the cutting edge of current research and suggest new theoretical perspectives. They explore political, social, and cultural mechanisms of control as well as analyze their limits and discuss the mixture of dynamism and stagnation that was typical of the GDR. Konrad H. Jarausch is Lurcy Professor of European Civilization at the University of North Carolina, Chapel Hill and a Director of the Zentrum für Zeithistorische Studien in Potsdam, Germany.